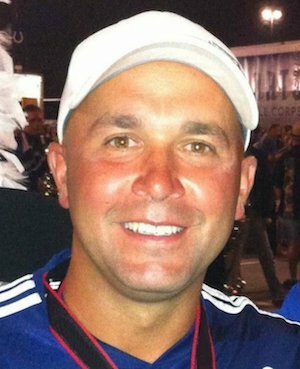 Brad Toth has been involved in music education for 16 years as a band director, drum corps instructor, and an active clinician throughout the United States & internationally. Brad worked as a visual and brass instructor with the Cadets for several years before coming to the Blue Knights in 2011 as a brass instructor and then caption head from 2012-2017. He performed with The Cadets for 4 years as a lead soprano/trumpet and was drum major in 2001. Brad and his wife Sara live in Fort Worth, Texas where he teaches instrumental music at Byron Nelson High School.